This small photograph album was produced by Wheeler and Teitzel, photographers in Junction City, Kansas. 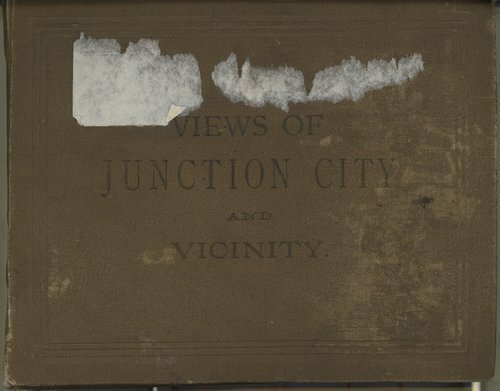 It contains thirty-one photographs showing exterior views of buildings and structures in or near Junction City. The album includes pictures of the city hall and opera house, fifteen scenes of various business buildings, four railroad depots, two churches, three schoolhouses, a court house, the Ogden's Monument, the electric light and mill, and a view of Fort Riley.